Why is the Measles outbreak in Gauteng such big news? 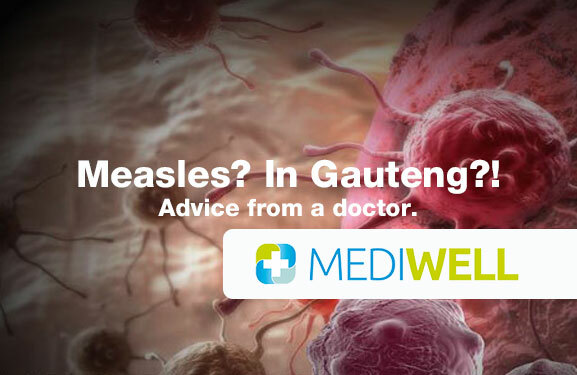 There is currently a measles outbreak that has affected more than 17 people in Gauteng. You might be asking yourself, why the huge media frenzy? whilst most of us associate measles with a rash and flu like symptoms, measles has the potential of serious complications like pneumonia, blindness, encephalitis and meningitis (brain infection). Long term complications include a degenerative brain disease called SSPE. Measles is worse in children under 5, adults over 20, and pregnant women. The death rate for measles is 1-2 per 1000 infections. This might sound low but 1 death from a vaccine preventable disease is 1 death too many. To put it in perspective- in 2015 measles claimed over 130 000 lives. This means 15 deaths per hour from measles. Most of these were sadly children. Extremely. So common saliva droplet infection spread: coughing sneezing and close personal contact. Someone with measles is contagious even 4 days before you see the rash. What’s causing the Measles outbreak and how can I protect my family? Sadly many parents choose not to immunize their children. This is the major cause of the outbreak. If you google anything on vaccines, you will be greeted by various anti-vaccine blogs which discourage parents from vaccinating their children. Rightfully so, there definitely are situations where children should not get the vaccine (certain immune system diseases or children on certain long term medication). However, it’s important that you chat to your doctor about your concerns before making a decision. If we choose to take preventative steps to vaccinate our children, we protect them and we protect the children who cannot receive the vaccine as we reduce the overall risk of transmission in that community. The Gauteng department is encouraging moms and dads to please take part in the vaccine drive and get your children aged between 6 months and 15 years vaccinated irrespective of whether they have had measles infection or received the measles vaccine. The vaccine is safe, effective and affordable. This is the best proven way of protecting our families and our communities. If you suspect you are a family member might have measles, contact us here. Hi Angela. Sorry for the delayed response. Measles in adults is uncommon. E.g. in the 2008 outbreak only 20 percent of affected patients were adults. However, the rate of complications and even death is higher in adults and infants. It’s generally a childhood infection so I would recommend adults who work with young children like nursery school teachers as well as health care professionals to get their booster vaccine. Hope it helps.